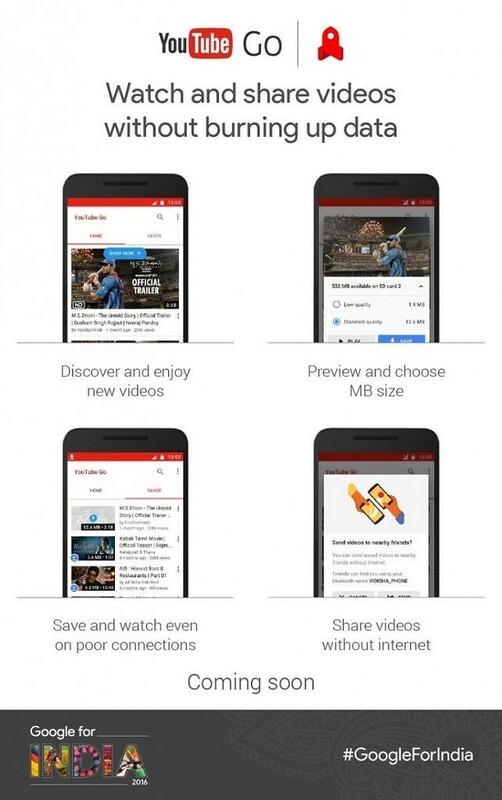 At the Google for India event held in New Delhi, Google announced its next step in targeting the emerging mobile market in India: YouTube Go. While India is currently in the midst of seeing some very heavy competition on the data and its pricing thanks to the entry of Reliance Jio in the 4G space, there is still a vast number of users that continue to depend on 3G and even 2G connections for their smartphone experience. Google has been focusing a lot for improving various aspects of the smartphone experience for these users, and a good part of this focus also extends to YouTube. 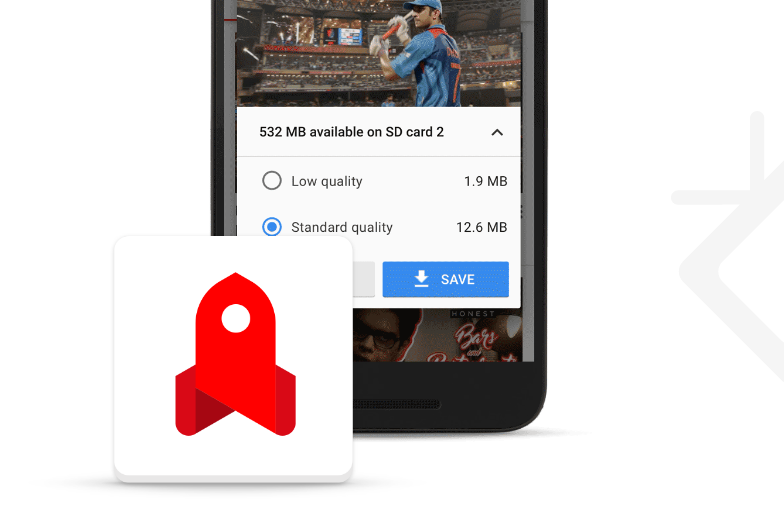 In the past, Google launched YouTube Offline to target users on slower networks to download videos and watch them later. They then launched Smart Offline for YouTube, where you could schedule these downloads to occur at off-peak times when bandwidth is plentiful and data is cheaper. With YouTube Go, the YouTube experience has been re-imagined from the ground up to bring in the next generation of viewers. Discover relatable videos on the landing screen as it features trending and popular videos in the users area. Ability to preview videos before watching or saving them offline, giving users on a data-crunch a chance to decide on the video before committing to it. Ability to choose resolution and amount of data whilst saving or streaming videos. Share videos offline using Bluetooth directly from the YouTube Go app, without incurring any data charges. YouTube Go is in a gradual rollout in India, becoming available for more users in the next few months. The app is scheduled to launch publicly early next year. You can sign up to be notified of the app here. What are your thoughts on YouTube Go? Let us know in the comments below!